How Can An SEO Company Boost My Reputation? Discover the importance of your online profile and how you should clean up any negative information with some reputation management before seeking a new job. Over a billion names are Googled every day, so if you’re looking for a new job the chances are that your name is about to be typed into a search engine. If you’re not happy about what potential recruiters and employers will find, then consider hiring a reputation management service before submitting your application form. Your name and identity is your own personal SEO brand. In many business and even personal scenarios, your reputation has been formed before that first face-to-face meeting. Reputation management ensures that your character and standing hasn’t been tarnished in advance of those important appointments. Online reputation management is usually carried out by an SEO company that has expertise in personal marketing. Many people incorrectly assume that the majority of work deals with problems on social media platforms. 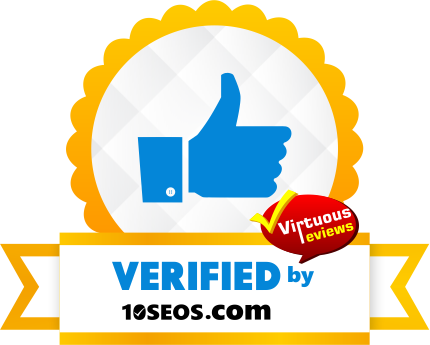 However, there are many areas that SEO firms will look at to enhance your personal reputation. Google’s first page is essentially your online business card and should be filled with positive information about you as an individual and a professional. There are several scenarios that can occur when your name is Googled. Undesirable Information – this might include being tagged in drunken photos or making unprofessional comments on forums. Irrelevant Details – having no profile at all on Google is arguably as bad for your reputation. Much like the need to build a personal credit history in order to obtain a loan, in the digital era it is a necessity to have an online presence to obtain a positive reputation. If the only information that Google has about you is a charity contribution to a Just Giving site from several years ago, then you need to increase your profile. Same Name – if you have a popular combination of first name and surname, then the chances are that you’ll come up against some personal brand rivalry in the search engines. This is particularly problematic if one of these other individuals has plenty of undesirable information listed about them which threatens your own reputation. An SEO company can assist in promoting ‘your’ name to the top of the listings. First, it’s important to understand what is not possible in reputation management. You cannot usually contact Google and get them to simply remove information that you don’t like. It is also unlikely that you will get site owners to eradicate old forum posts that do not show you in the best light, unless there are legal implications. Instead, expert SEO companies work by burying those negative listings with positive pages. If the first few pages of Google are filled with glowing information about your reputation, then it is unlikely that a recruiter or employer will continue browsing further down the list. The first page should be filled with a complete LinkedIn profile, Twitter account, public professional directory listings and even a personal website or blog. This stage is known as image restoration and is an essential part of reputation management. We can review your social media profiles to ensure that there is nothing negative buried in your public history. We can contact social media platforms on your behalf to request having undesirable photos of you removed or untagged. In the case of incorrect or illegal information that is printed about you on social networks or forums, then we may also be able to issue a take-down notice on your behalf, in partnership with a legal firm. If you’re interested in cleaning up your online reputation, the first thing you should do is ‘Google yourself’ and see how your online profile shapes up. If you feel you need assistance in this area, then get in touch with Freelance SEO Essex and we can help you to improve your online profile and your future job prospects.